Once a user opens a picture with a document, be it an application form or a restaurant bill, they’ll be greeted with a suggestion to crop and adjust the picture. Pressing that will crop the document, rotate the picture and adjust corners if needed and calibrate the colours of the image. With this partnership, the KaiOS mobile operating system will now run on the 3G MT6572 platform and the newly announced MT6731 platform. While the former only supports 3G networks, the latter comes with support for dual-4G SIM cards. The first KaiOS-powered smart feature phones are expected to be launched in Q2 2019. The Kumbh JioPhone, a unique and differentiated offering, is being introduced to honour this revered tradition of India. The feature will be different to other messaging apps on smartphones as it further tries to improve the navigational features of the mapping app. The new ‘Messages’ section is already available to some users from the side menu which can be swiped from the left of the screen when opening the Google Maps app. The public transport mode features suggestions that economical users can try out to reach their destination conveniently. With this, auto-rickshaws now make their way onto the “public transport” and “cab” sections of the Google Maps with estimated route plan and fares as release by the Delhi Traffic Police. The main highlight of the device is the dual front-facing camera setup which is a combination of a 20-megapixel sensor and an 8-megapixel sensor along with Moonlight Glow flash. Z3 fell from a height of 5 feet on a concrete flooring but survived with a minor scratch. olo Q1100 has a potential hardware that is gamer friendly. Read on to more. As the smaller incarnation of the HTC One, the One mini offers a crisp display, smooth performance and premium build quality. Kobo Arc tablet with the Tapestries user interface is mostly for ebook readers wishing for a multimedia tablet. Sleek body design, really large display and powerful hardware packing Sony Xperia Z Ultra is for those who seek a smartphone with tablet like real-estate. Despite being priced at Rs 2,900 it comes with Android ICS operating system, 3.5 inch capacitive touchscreen, and even WiFi. Though the phone is late by six months it still gets some latest hardware and operating system and comes at an amazing price. But how is it in real world usage? We find out. 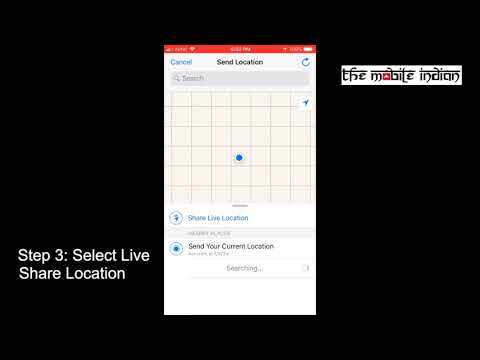 How to use WhatsApp Live Location sharing feature?